The first thing to do before creating the recipes below is to follow the recipe: How to Cook Wild Rice. Combine arrowroot with 1/2 cup coconut milk. Mix cooked rice in a baking dish with all ingredients except for pecans. Bake at 350º for 30 – 40 minutes. Remove from oven and let sit for 10 minutes to cool down. 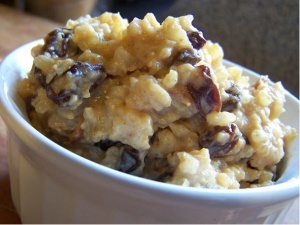 Serve and enjoy this deluxe wild rice pudding. In the photo of my pudding above, I put coconut yogurt.